Special mention for the "Womens Fly Fishing Gathering" at Pontoonbridge Hotel, Foxford Co Mayo; June 7th to the 10th 2007. Hosted by the Irish Ladies Flyfishing Association, The International Womens Fly Fishing Organisation (USA), Anne & Mary Geary of the Hotel and and with the support and co-operation of the Fishery Board this promises to be a wonderful occasion for all ladies involved in Flyfishing. An invitation has gone to England Scotland and Wales to be involved in this event. Anyone wishing to see the range of facilities can access www.pontoonbridge.com for further details. This is not a competition but a social gathering when lady/women anglers of like minds will fish, talk and socialize. Hoping for great times, good fishing and favourable weather. 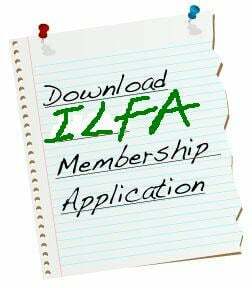 The ILFA AGM is on the 9th of December at 2pm at Bloomfield House, Mullingar All members welcome. Also there is a Lexus Competition/qualifier heat on Lough Lene, West Meath for teams of 6 to fish Rutland England next Spring Those interested contact Greg White (028-93372844)who is organising the competition. The ILFA is delighted to congratulate two ILFA members Glenda Powell and Julie Gerry on their great success in the World Casting Championships at Carton House, Co. Kildare this past weekend. Glenda won the Emerald Ladies World Masters Salmon Fly Distance Casting and she was pipped by 3 cms to second place in the World Women's Spey Distance event. Julie Gerry came 5th in the Emerald Ladies World Masters Trout Fly Distance and 4th in the Emerald Ladies World Salmon Fly Distance Event. Well done to both of you. The 49th World Cup is over and congratulations to Madeleine Kelly who took the Ladies Prize over the 5 days. No experience required. Anyone who joins the ILFA can have one of these days free. Ladies of all ages (but minimum age is 18) are welcome to attend and participate in one or more of them. Contacts; write to Ruth Mettler at Gubannumera, Bockode, Co. Leitrim, email Susan Brown Hon. Secretary; smbrown7058@aol.com or phone Madeleine Kelly ILFA Chairman(+44) 048 90649022 evening only. Tackle: If you have or can borrow a rod etc. bring it or/and if you require any we can supply some so do let us know in advance. Lunch: Please bring your own, Tea & coffee will be provided. Sat 19th August at Maynooth Fishery Co Kildare. Saturday 16th September Ballinlough Co Mayo www.northwestfisheries.ie Details Ruth Metler as above. email Susan Brown Hon. Secretary; smbrown7058@aol.com or phone Madeleine Kelly ILFA Chairman(+44) 048 90649022 evening only. Directions Carmel Fitzgerald Proprietor Buckfield Inn 098 41287. Ruth Mettler took the honours today as top Lady Angler in the McConville Cup on Loughs Lannagh and Billbury with a fish weighing 2.3 lbs. Conditions of glorious sunshine and little wind but a great competition with M O'Brien of Oughterard overall winner. 4th trial 7th October on Lough Lein Killarney. The International Match on Llyn Brenig Wales is over for 2006. Ireland weighed in 32 fish. Sorcha Weld was Irelands top rod with 4 fish for 8lb 3 ozs. Muriel Scorer had the heaviest fish at 4lb-7 +6/8ozs . The event was well run with Nica Prichard taking over as International Secretary and she will be handing over International Presidency shortly. It was a great experience with good weather and a lot of fish seen, netted and returned however our team did not catch quiet enough but it was a learning curve and the team worked really well together. So its here's to another year and Grafham Water in England in 2007. 11 days to go so hope the team is ready for action in Wales. The Trial at Ballinlough Westport was held today in sunshine and calm conditions and most of the anglers succesfully landed fish on catch and release basis. Madeleine Kelly and Jean Johnston led the field each with 3 fish for 5 lbs. next was Margaret Rooney and Ann Kerrin each with 2 fish for 5 lbs. Moira Cosgrove had 3 fish for 4 lbs. Ruth Mettler, Betty Hayes and Anne McWilliams each had 2 for 4 lbs. Stella McGriskan had 2 fish for 3 lbs. Rosalind Watson and Sorcha Weld each had 1 fish for 2 lbs. The trial at Castlewellan Lake Co. Down on Saturday was very successful, A venue the Ladies will be returning to again. The Castlewellan organisation made all the anglers very welcome with refreshments and all the assistance needed. Thanks to all concerned. It was won by Anne McWilliams of Mallow with 8 fish for 14lbs 12 ozs. Ann Kerrin, Fermanagh 2nd, Julie Gerry, Kildare 3rd and Sorcha Weld, Dublin 4th. Most of the anglers returned fish. A very successful meeting was held in Birmingham last weekend attended by from Ireland: Madeleine Kelly and Julie McGeever and representatives from the other Countries. It is hoped to discuss and develop womens angling on an annual basis at a venue less demanding than the AGM during International Match week. Tough weather conditions at Tilderg Lake Ballyclare Antrim last weekend did not deter the hardy ladies who turned out even in the snow and enjoyed the weekend. A reminder to all members that the first trial will be at Castlewellan Lake NI on April 1st, contact any member ofthe committee. 1st & 2nd April at Clonbur There is a casting training weekend. For information contact Brendan 0949545766 or 0879188912. In attendance will be Thorgeir Gustavsen Judge of the International Casting Sports Federation. Best wishes to our members who assist and the public who visit our stand at the Angling Ireland Festival in Cloghran Swords this weekend. 5th February Open/Social Day at Maynooth Fisheries Kildare. Non- members welcome especially new comers to the sport. 18th & 19th February: Angling Ireland Show weekend is on at Cloghran, Swords and ladies especially team members who can give an hour or a day on the ILFA stand are encouraged to attend, assist and support. 11th & 12th March: Loughs Agency Angling Fair in Derry, Any members who can give an hour or a day on the ILFA stand are encouraged to attend, assist and support. NOTE The Hon Secretary (in order to reduce costs) would welcome email addresses for all members who wish to receive their correspondence /newsletters by email instead of post, Thank you . Proposals:All the following venues and dates to be confirmed. 4th March Saturday Training session for the team at Tilderg Lake near Ballyclare, Co. Antrim NI (rainbow trout). 29th April: Training Day on Lough Owel, Mullingar. Team members in particular are asked to attend and it is open to all members who wish to improve their skills, are fishing for team places or hope to in the future. 13th or 20th May Trial/Outing at Ballinlough, near Westport, Co Mayo (rainbows & browns) Date depends on date of European Cup Open. 14th or 21st May Open/Social Day at Lough Mask Co. Mayo. Open to non members. Help will be available on request to women new to the sport who wish to join. 22nd July Trial/Outing on Lough Leane, Near Mullingar, Co. Westmeath. There is a proposal from our 2006 Coach Noel for A program of training spread over a three year period to begin with assessment for all members and tutoring as required. Feed back will be welcome to the Committee or to Noel. For information 2nd - 8th September Proposals for World Fly Casting Championships in Co. Kildare-details to follow. The Kings Hall Belfast Show is the venue this weekend where the current Chairman, the current Captain with several members of committee will be available to talk with all ladies who are interrested in fly fishing and in our association. So come along, enjoy the show and join the Irish Ladies Flyfishing Association.